Use the Standing Order download to process manually but this may incur a bank fee to set up. The standing order form has two pages. Deliver page 1 to your bank. Post page 2 to iMAP or send us a message. 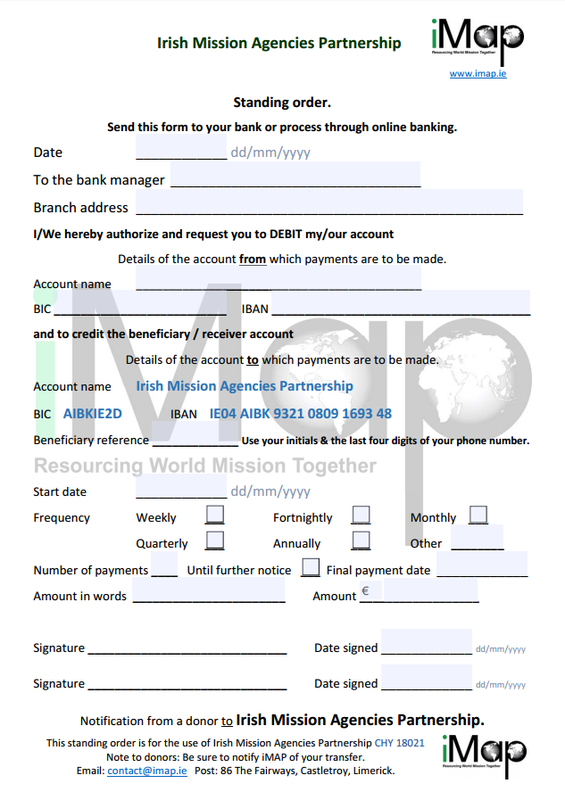 These forms can be filled in before printing. Electronic online banking can be done online or in some cases at your bank. 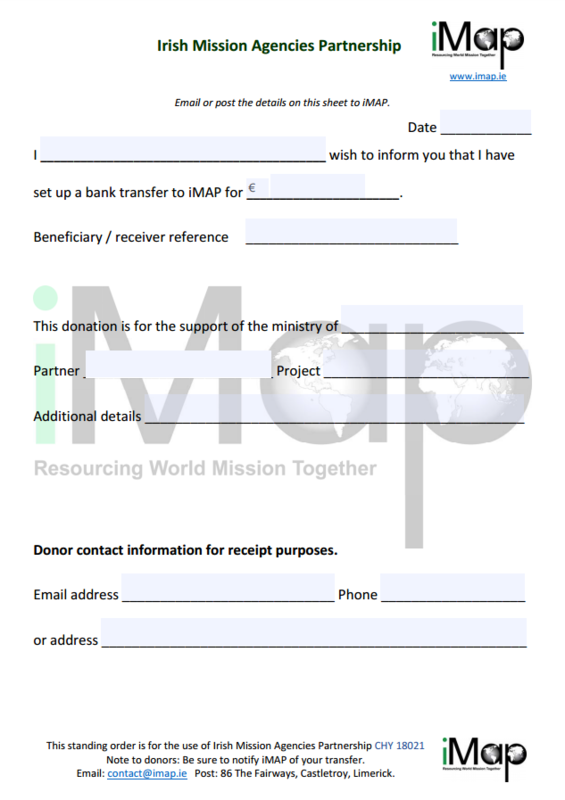 The list of iMAP partners and projects are ont the contact page.